All the figures below are generated using examples/contamination/contamination.jl. There are 20 monitoring wells. Each well has 2 measurement ports: shallow (3 m below the water table labeled a) and deep (33 m below the water table labeled b). Contaminant concentrations are observed for 50 years at each well. 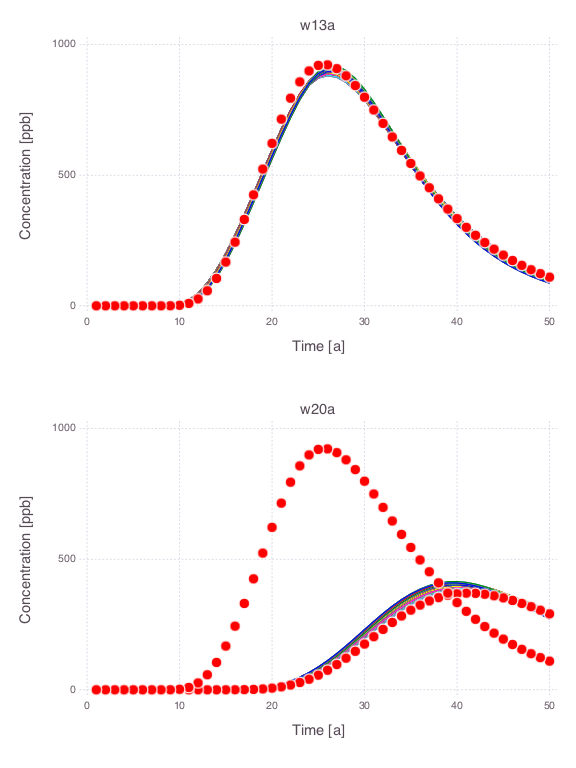 The contaminant transport is solved using the Anasol package in Mads. Analysis of the data from only 2 monitoring locations: w13a and w20a. The observation data are plotted as red dots. Note that the parameter uncertainties are constrained by the observation data. The observation data are plotted as red dots. eFAST has proven to be one of the most reliable methods among the existing variance-based techniques for quantification of parameter sensitivity (Saltelli, 2004; Saltelli & Bolado, 1998; Saltelli et al., 2000; Saltelli et al., 1999). 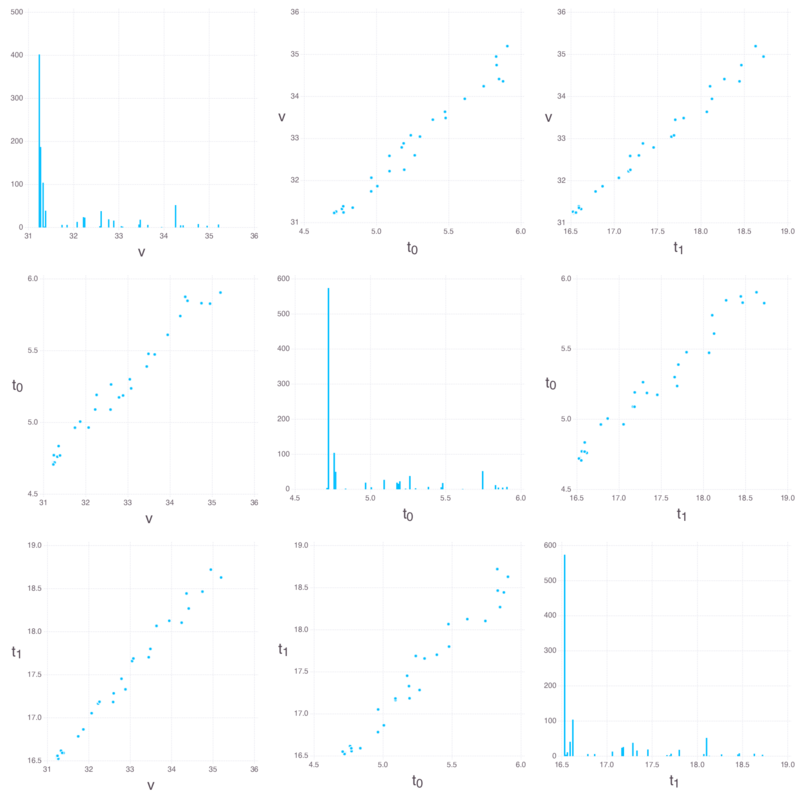 The differences between main and total effect estimates suggest correlations among the parameters. Classical Saltelli's (Sobol's) global sensitivity analysis. There are differences between eFAST & Saltelli estimates. The eFAST results should be considered more reliable.